SUM is a standardized, summated and single usability metric. 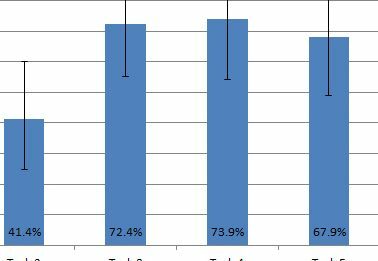 It was developed to represent the majority of variation in four common usability metrics used in summative usability tests: task completion rates, task time, satisfaction and error counts. The theoretical foundations of SUM are based on a paper presented at CHI 2005 entitled “A Method to Standardize Usability Metrics into a Single Score.” Sauro and Kindlund. The UsabilityScorecard web-application will take raw usability metrics (completion, time, sat, errors and clicks) and calculate confidence intervals and graph the results automatically. You can also combine any combination of the metrics into a 2, 3 or 4 measure combined score. Data can be imported from Excel (.csv) and exported to Word(.rtf). The SUM calculator will take raw usability metrics and convert them into a SUM score with confidence intervals. 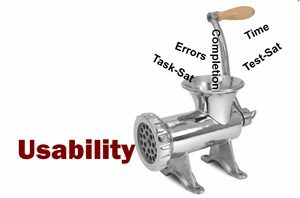 The analyst needs to provide the raw metrics on a task-by-task basis and know the opportunity for errors. 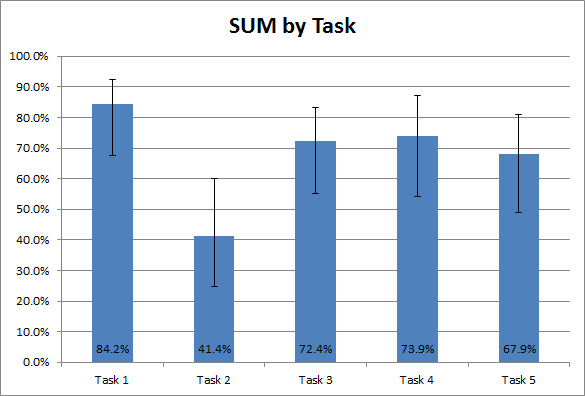 SUM will automatically calculate the maximum acceptable task time, or it can be provided. This calculator is an Excel based version of the UsabilityScorecard except that it can only combine 4 measures (time, errors, sat and completion) and does not graph the results.